Many Americans think of the U.S. Drug Czar as the general leading the war on drugs, attacking addiction on two fronts: first the suppliers and then the users. American prisons and jails are overcrowded with non-violent drug offenders, whose only real crime was being an addict. If this country is truly fighting a war on drugs, then the majority of incarcerated Americans could be considered prisoners of war. Ever since Nixon declared war on drugs, law enforcement, led by the drug czar, have systematically targeted individuals who struggle with addiction; only recently has treatment become an option for offenders. In the past, the position of drug czar was given to an ex-military or former law enforcement person, being the logical choice. Today, the story is little bit different and many might find it interesting to learn that the current drug czar is not only ex-military or former law enforcement, but is actually in recovery himself. Drug czar, Michael Botticelli, changed his life after a drunk driving accident on the Massachusetts Turnpike more than 25 years ago. Botticelli began drinking regularly when he was a junior in high school, developing into alcoholism through his 20s, and being arrested for drunken driving in 1988. “There is no shame in this. This is a disease,” Botticelli said in Worcester, addressing a recent conference sponsored by the New England School of Addiction and Prevention Studies. After a long stent as director of the Massachusetts’s Bureau of Substance Abuse Services, he was selected to be the U.S. Drug Czar. His initiatives and unorthodox methods of treating addiction in his own state caught the eye of many, including former czar Gil Kerlikowske. 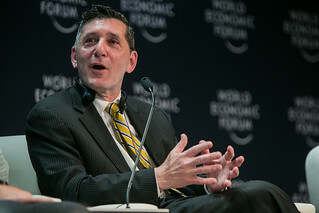 After years of arresting everyone who had any connection with drugs, Botticelli believes the best way to fight substance abuse is to reduce demand, and no longer wasting huge amounts of money and manpower into jailing dealers and penalizing users.